WordPress posts returning a 404 Error. In this article we will show you how to fix WordPress posts returning 404 error. 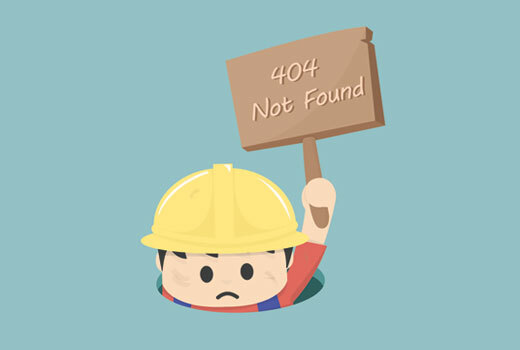 Usually in this scenario a user can access their WordPress admin area, their blog’s main page, but when accessing a single posts they get a 404 Not found error. First of all, don’t panic most of the time your posts are still there and completely safe. This usually happens if your .htaccess file got deleted or something went wrong with the rewrite rules. What you need to do is fix your permalinks settings. 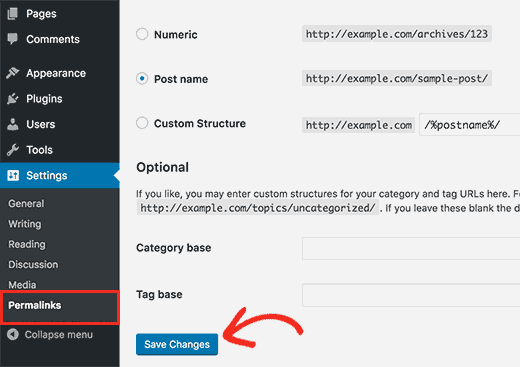 Go to Settings » Permalinks, and simply click on Save Changes button. This will update your permalinks settings and flush rewrite rules. In most cases this solution fixes the WordPress posts 404 error. However, if it does not work for you, then you probably need to update your .htaccess file manually.